"Those games will rot your Brainz!" I've played through every one of these games since the dawn of Civilization, circa 1991. Sid Meier's series is responsible for teaching me the basics of a number of global concepts I glossed over while in school: types of governments & why they exist, social policies, infrastructure, civil defense, and even the wealth of nations - particularly because I learned about the existence of that famous treatise, "The Wealth of Nations" by Adam Smith (1776) from one of the informational pop-ups or some section of the Civilopedia inside the game. So many seemingly dull, dry bits of history and world knowledge are magically made digestible and actually entertaining at times by the Civilization series that it felt like a properly playable educational game already. It only makes sense that they'd take it one step further. Working with GlassLab, Firaxis will be creating CivilizationEDU as a playable educational platform version of their ever popular turn based strategy games. Among several edu-games, Glasslab already has an educational version of SimCity geared at students from 6th through 8th grade, called 'SimCityEDU: Pollution Challenge!' and according to the description by Glasslab, the game "not only teaches students about the factors affecting the environment in a modern city, but the game also provides formative assessment information about students’ ability to problem solve and explain the relationships in complex systems." 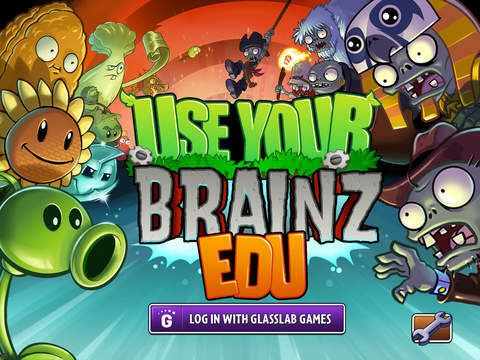 They also have a game "Developed in collaboration with PopCap/Electronic Arts and researchers at Florida State University" according to it's description, called Use Your Brainz EDU - an apparent rework of Plants vs Zombies that includes an assessment tool for teachers to gauge problem solving skills of students from 2nd grade through 7th, and the game falls under the mathematics subject header. Quite the quantum leap from the Number Munchers and Oregon Trail crapfest that filled the school computer labs when I was a tot, and I gotta admit just a smidgeon of jealousy. It's about time the "adults" are recognizing the potential for more entertaining ways to educate students by using the video game platform, and it's even more relevant to modern students who can tell the difference between some dull, low quality edu-game and a popular title they've already heard of or have even already played. I could imagine a host of games that could become classroom ready with a little rework by these guys - I've told the story a few times about how the knowledge I gained from Gran Tourismo 1 and 2 saved my bacon during a near collision involving a spin counter-spin with near total loss of traction, and my pre-knowledge of how to regain control of my old used car allowed me to recover and avoid destruction of the car and potential hospitalization (or death!). And while we're on the subject, I wouldn't be so good at simple and quick addition were it not for countless games of Cribbage and Dominos. I doubt we'll see some kind of BattlefieldEDU any time soon, and I cannot imagine much educational value could be crammed into Batman: Arkham Knight unless the goal was to teach people how to recover from the repeated crashes and glitches which got that terrible PC port pulled from Steam shortly after it released, but I am absolutely ecstatic that they are actually making an educational version of my favorite strategy game of the past 25 years. Civilization seems to be the most appropriate conversion to an edu-game out of the GlassLab library, with the possible exception of the SimCityEDU which I must say is equally appropriate and covers the in-depth city level concepts that students would not get from the larger picture the Civilization world gives to the player. There is nothing that compares to the scope of a Civilization game, forging a path through the technology tree, particularly when you choose the Epic and Marathon speeds on a Massive or Huge world map. I've had plenty of fun racing through time as well on the Fast and Tiny worlds, too - and the online gameplay is very fun, sapping 6 hours of your life in the blink of an eye. But even though I'm no student, I almost want to find a way to get a copy of the CivilizationEDU when they finish it just to give it a play through as it's always fun to learn something new from these games. 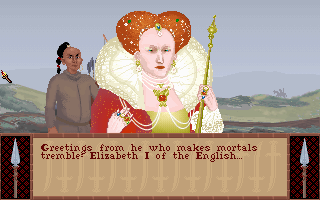 "Would you be interested in a trade agreement with England?" CivilizationEDU should be hitting North American High Schools in 2017, but there are no current plans to bring the game to the UK at present. I assume such an international release would need to be based off of success in North America, and only time will tell. I don't understand why they would disregard the UK for release - perhaps edu-games are not yet considered helpful to the curriculum at schools in the UK, or perhaps it is just a budget issue for a new company with a new field of games. Either way, I wish I had been a student these days. Great article man. I've personally never been into games like this. But I know my kids generation loves this genre of gaming. I too have learned many great things from playing games! Isn't that amazing how we can adapt things we've experienced from pc gaming into practical real world scenarios we experience every day, or in random freak instances like yours was Sem. I bet Just from playing BMS I could fly an F-16, or maybe even a little bird thanks to ArmA 3 oh yeah, I could.